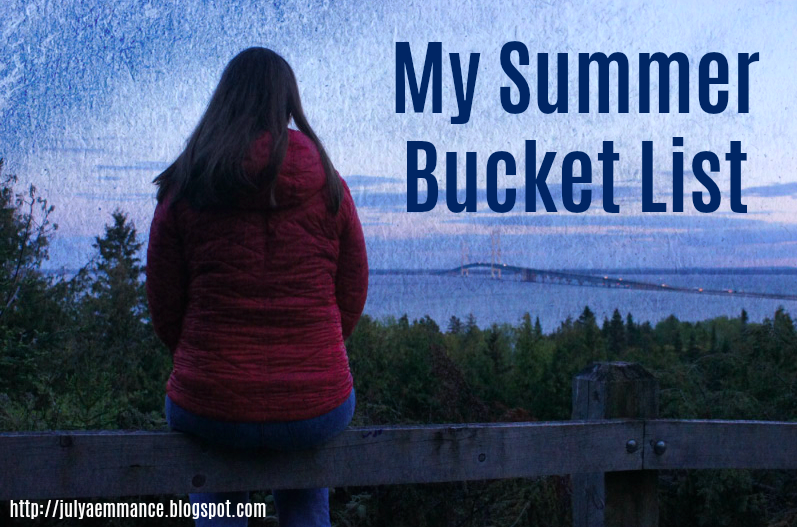 Anyway, on to the main topic of this post... the thing you've all been waiting for... my 2017 summer bucket list! 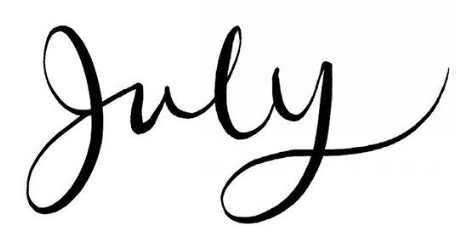 Every summer I make a list of goals and other fun things I want to accomplish during the summer, and this summer I want to share that list with you all! Maybe some of our goals are the same, or maybe your bucket list is completely opposite of mine. Whatever the case may be, I hope you enjoy your summer and are able to check many things off your own lists! Picture edited from my recent graduation vacation to the Mackinac Bridge! Sunsets are beautiful. In fact, I'm kind of obsessed with them. But during the school year, I'm often cooped up inside focusing on homework and missing the sky's beautiful artwork. That's why summers are the perfect time of year to go outside around dusk and spend some unaffected time watching them! And the great part about sunsets is you don't have to wake up early to see them, haha. A sunset from my trip to Cali this past fall! Going boating has actually been on my summer bucket list for the past couple of summers, but unfortunately I still haven't been able to check this goal off yet! I'd really love to learn sailing, but at this point, any type of boat ride would be okay with me. Preferably if it was a day spent on a boat with friends! This one is self-explanatory.... I just wanna go outside and take my dog for walks, spend a day at the beach, bike along the Lake Michigan coast, read in a lawn chair, have bonfires with friends and family, have a barbecue, play roller-hockey! Anything as long as I'm not stuck inside! I love concerts... and this summer I want to make sure I get to some! Live music of any kind is just fun to hear, whether it's a small, local artist playing in a bar or a big-name band playing in a stadium a few hours a way. This past spring I saw Noah Cyrus and AJR in concert for free thanks to a local radio station, and this summer the same station will be putting on several more free shows. Summer is the perfect season for outdoor concerts and I'll never pass up free music! I wish you all the best summers and I hope you make the most of the time you have to refresh yourself. Enjoy each day, and aim to do at least one new or adventurous thing every day. Make this summer count! What's on your bucket lists? Speaking of running, getting off the couch and exercising, I've been thinking I /really/ need to do so too. Wanna try to start jogging together? It might be easier to have someone to hold us accountable, and more fun than running alone. What?! Really!? YES! I have to warn you though, I am really out of shape so we'd have to start slow, lol. "Pick up running" omg. This is me every few weeks, I'm like yep this is it, this is the day I finally start committing myself to gross exercise, and then I do it for like three minutes and then am like "that was a good warm up, I'll do more tomorrow" and then I never do. I think I give up. And working two jobs - that's commitment. But you live in the US right, and it's a lot harder to pay for uni isn't it? Like I'm going to uni in Wales at the end of this year, and I'll only have to pay off my loans if I earn over 21 grand a year, which is pretty decent. Move to the UK, and bam, fixed :') Anywaaaays, I plan on spending this summer binge watching Netflix, going to cute places, and picking up hobbies and the like, like acting and learning a language and whatnot. Haha yes, that's definitely relatable!! That's what I'm worried will happen to me with any type of physical exercise because I have good intentions, but I'm not always good at following through... oops! Sounds like a fun summer ^_^ Do you have any recommendations for what to watch on Netflix? I've just finished watching The Office for the second time and now I have no idea what to fill my time with. Thanks for stopping by; have a great summer! Heyyy! This was such a lovely post, I loved returning to your blog after so many months away! Your sunset pic is absolutely beaut -- I Pinned it! (With creds to you, of course!) Also, the hiking and hammocking sounds amazing! I want a hammock. Across a river! Double hammock across a river! On my bucket list? I don't have anything much. Finish the novel I'm working on (fifth drafting -- it's tough!) and start second drafting the next one. Paint more. Yeah, I want to paint more. But I'm working quite a lot at the moment (as a receptionist) and then writing takes up so much time, so it's hard to get the time to paint. I'm struggling to find time to blog, actually! But I will try! That can be another goal: get back into blogging. After my time in Kenya, I'm trying to remember again how I fit blogging and reading blogs into my time.